An estimated 19 million American adults live with depression, a mood disorder which causes a persistent feeling of sadness and loss of interest. While individuals with serious cases of depression should seek the help of a medical and mental health professional, those with mild to moderate cases should also look into non-medicated treatment options like the ones listed below. 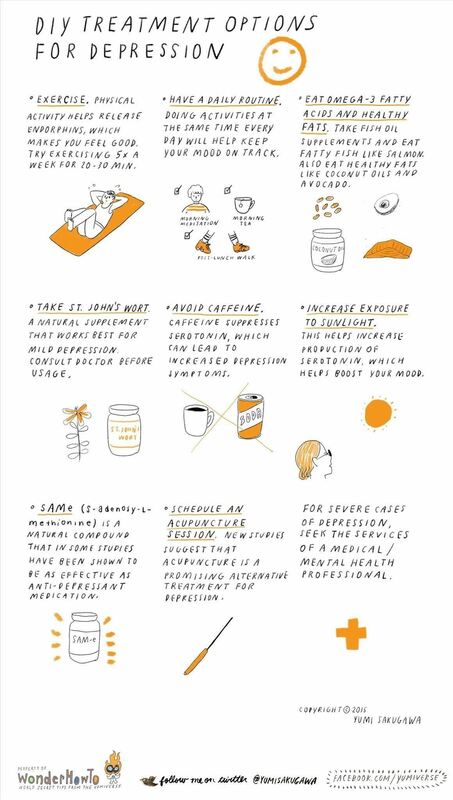 How To: Deal with seasonal affective disorder or S.A.D. Thank you for all the great how-tos! I wonder, what do you mean by "New studies suggest that acupuncture is a promising alternative treatment to acupuncture."? Was it supposed to be a different word? That was supposed to say "alternative treatment for depression." Thanks for the catch. It's been fixed.